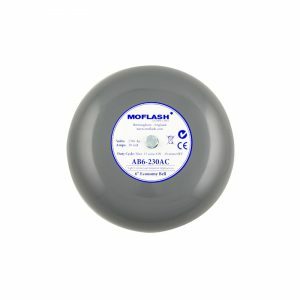 Moflash Bell range includes traditional grey industrial bells and IP66 marine bells. 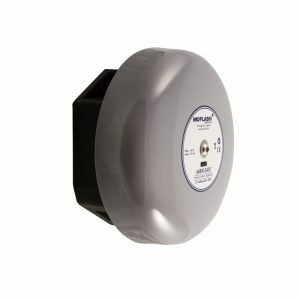 The bells are solenoid driven and being free from mechanical clatter are popular with customers. 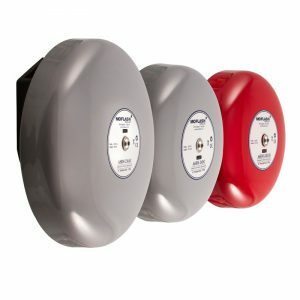 The full range of bells including product specifications can be viewed below. APPLICATION: The IP66 solenoid driven bells are suitable for heavy duty industrial applications where a high sound output and rugged construction are required. 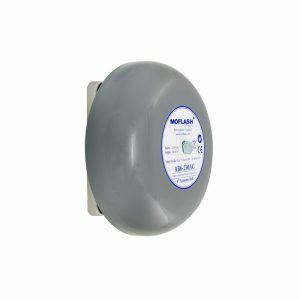 The Economy bell is suitable for light commercial/industrial use where intermittent audible signalling is required in a localised area.